On August of 1973, the International Astronomical Union (IAU) met in Sydney, Australia, for their Fifteen General Assembly and determined that a broadening of crater nomenclature was necessary. They decided not only to allow the assignment of names of deceased scientists from all fields, but also deceased contributors to human culture and knowledge, including writers, painters and composers. An exception to this rule had been the naming of craters in honor of famous astronauts who were alive when craters were named after them. However, the names from political, military, and religious figures, as well as modern philosophers, were prohibited. At the IAU assembly, approximately fifty new moon craters were renamed following the new rules. Still, most of the names that were chosen honored deceased astronomers or physicist of astronomical importance. I guess old habits die hard…but there were exceptions like the names Sir Frederick Banting, Sigmund Freud and Claudius Galen. 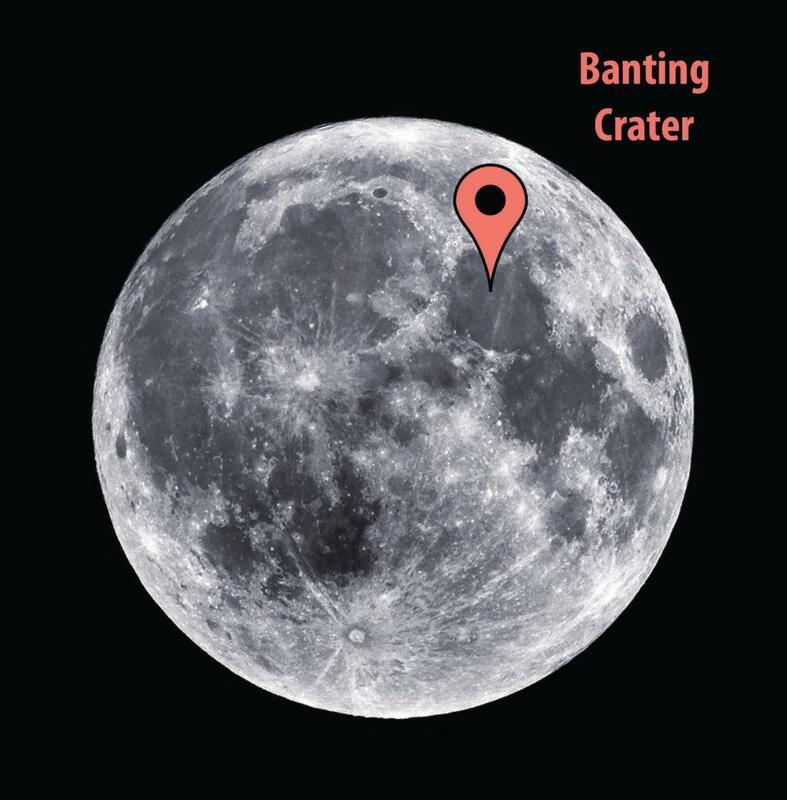 The Banting Crater is located on the near side of the Moon, the lunar hemisphere that is permanently turned towards the Earth. The crater has a diameter of 5 km, is bowl-shaped and lies near the middle of the moon’s Mare Serenitatis (Sea of Serenity), between the sites of two US Apollo landings (15 and 16). This crater, previously identified as Linné E, is one of the eleven craters named after Canadians. The other ten Canadians recognized with this distinction were: Carlyle Smith Beals, Jahn Plaskett, Frank Hogg, Clearence Chant, Oswald Avery, Robert Petrie, Andrew Mckellar, Reginald Aldworth Daly, Simon Newcomb and John Foster. Most of the craters, except for Avery, Beals, Daly, Aldworth and Banting, are on the moon’s back side, the lunar hemisphere that can’t be seen from the Earth. To commemorate the 40th anniversary of the naming of the Banting Crater, Banting House National Historic Site of Canada will host the event Our Man on the Moon on July 15, 2013. This free public “view-in”, in collaboration with the Royal Astronomical Society and students from Western’s Physics and Astronomy Department, will provide the public with the opportunity to participate in once-in-a-lifetime chance to view the Banting crater. In addition, all family members are invited to explore how moon craters were formed with a hand on activity and participate in a scavenger hunt at Banting House highlighting the many ways in which Dr. Banting had been recognized for his medical achievements. Posted in Museum Happenings and Events.Tagged Banting, Banting Crater, Diabetes, Event, Moon. From a Hampshire UK Banting, not related but collector of all things to do with the Banting surname (Guild of One Name Studies), this is a great article and a wonderful tribute to a fine scientist. I wonder if I could share this on my wordpress site http://www.bantingfamilyhistory.com ? I know many carriers of the Banting surname in the UK would enjoy reading this and seeing if they can see it. what a great surname to be investigating! We would be more than happy to have you share our article on your website. We do apologize for the long delay in getting back to you – due to some computer issues we didn’t see your comment until today.